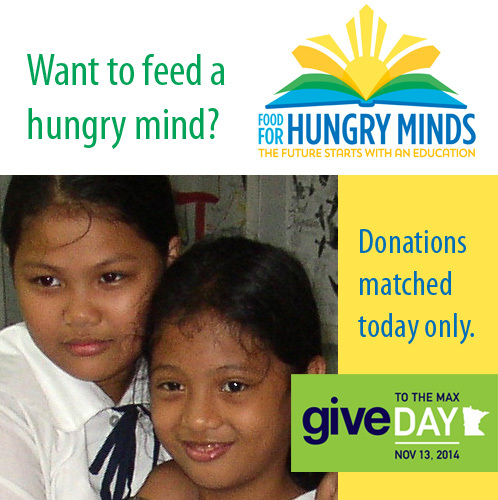 November 13 is Give to the Max Day! Give once and watch it multiply! Donations up to $5,000 will be matched on November 13, 2014 only! Visit: https://givemn.org/organization/Food-For-Hungry-Minds to schedule your Give to the Max donation now!